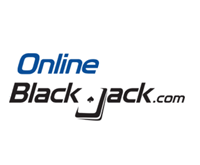 Blackjack is an old game that today operates under fairly standardized rules. Sure, you might find games with different numbers of decks, different surrender rules, or different rules for how the dealer decides when to stand and when to hit. However, the basics of the game of blackjack are always the same, and you can walk into any casino in the world and have a pretty good idea about what’s going on. But great games inspire imitators, and blackjack is no exception. There are probably dozens of other “21” games that take the main ideas of blackjack and add twists to make the game more exciting, more challenging, or just plain different. Here’s a rundown of some of the other major blackjack games you might find in your favorite casinos.